Footwear manufacturing the world over has evolved from a cobbler’s craft to a massive industry, with key sourcing countries presenting unique offerings and their own spin on the shoe. From China to Italy, and from leather to 3-D printed materials, here’s a look at how the global footwear manufacturing sector is securing a more innovative and efficient future. Brazil has long been known for its high-quality footwear, and diversity of production. Though the country lost some competitiveness both in domestic and foreign markets largely because of the costs of production, the last few years has seen momentum ramp up in the sector. Brazilian footwear makers have been turning to innovation, new technology and new business models to meet current market demands, and the result has been a product that delivers on uniqueness as a value add. The country dabbles in footwear for men, women and children, ranging from comfort shoes to flip-flops and sneakers, made from materials spanning leather, synthetics, textiles and sustainable materials. Did you know? The Brazilian footwear industry has its roots in both Germany and Italy. 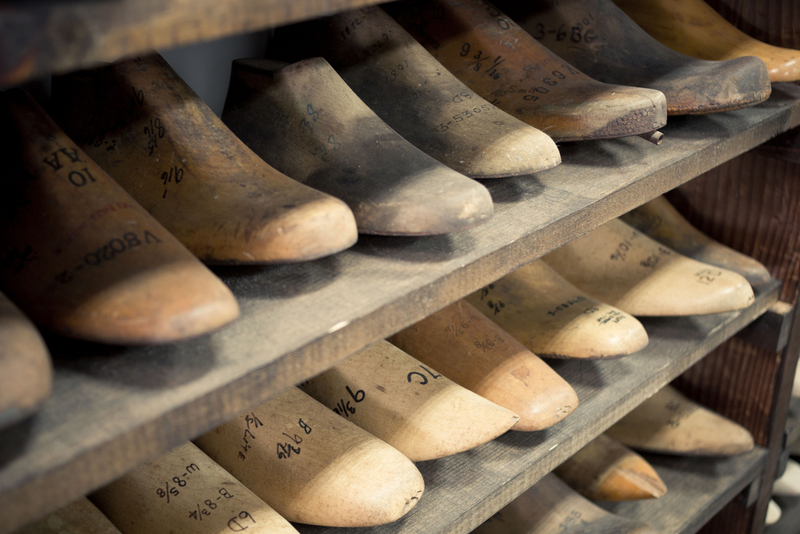 The machinery to make the shoes was made by Italian descendants, and the fashion influence came from Germany. This has a lot to do with the fact that both Germans and Italians migrated to the Rio Grande do Sul state in Brazil, which is home to the first Brazilian footwear factories. A newer player in the footwear manufacturing world, Ethiopia has been making a name for itself as a place to source quality shoes—particularly leather. With major footwear companies like Caleres, Easy Spirit and Sam & Libby already producing there, interest in the eastern African nation is ramping up. Ivanka Trump was even making footwear for her line in Ethiopia, though she announced in late July that she’d be shuttering the brand. “There’s a lot of people who are still searching for alternatives to the Far East because of what’s going on in sourcing today,” said Jordan Saliman, a consultant for USAID’s East Africa Trade Hub, who’s focused on footwear manufacturing in Ethiopia. Pricing for footwear in Ethiopia can be anywhere from 5 percent to 12 percent cheaper than in the Far East if everything is produced locally, but many components must still be outsourced as the industry develops its capabilities. And though there’s no trade uncertainty in the country, as it ships shoes duty and quota free to the U.S. and Europe under preferential trade agreements, Ethiopia still has logistics challenges to work out. The country’s specialties for footwear production range from comfort to dress shoes, both in leather and non-leather, with women’s shoes making up more of the exports. Did you know? Ethiopia is the first cattle breeding country in Africa and tenth in the world, with developed tanneries exporting finished leather to Italy, Germany, and China, which is why it has an advantage in high-quality sheep and goat skin footwear. No matter what shifts in the footwear space, China will likely always be the largest producer of shoes. However, as costs in China have crept up, its interests in manufacturing have shifted, and its Asian neighbors—particularly Vietnam—continue to snag market share, China’s footwear exports have dipped 17 percent since a peak in 2014. That said, China is still the world’s largest producer of rubber and plastic footwear (accounting for 60.8% of global share), waterproof footwear (46 percent share), textile footwear (37.5% share), and leather footwear (18.3% share). As trade tensions escalate, however, more companies are looking for a China plus one or China plus two strategy, shifting away from a sole focus on production there. Did you know? Since China accounts for roughly 71 percent of U.S. footwear imports, and imports supply more than 98 percent of U.S. footwear demand, it’s safe to say, on average, seven out of 10 pairs of shoes found in the typical American closet come from China. As the leading shoe manufacturing country in Europe, Italy prides itself on traditional leather shoemaking, but the sector, much like the rest of the world, has been bitten by the sneaker bug. Italy is embracing sneaker manufacturing and the technology needed to create it. Augmented reality and 3-D prototyping are among the sector’s areas of investments, as well as training for these new skill sets. “Our sector needs artisans of the future who know how to use traditional machinery but also lasers and iPads in order to arrive at the finished product,” said Annarita Pilotti, president of Assocalzaturifici, the Italian Footwear Manufacturers’ Association. Made in Italy has a strong presence throughout the entire top-end sneaker sector. In 2017, 26.9 million pairs of sneakers were bought in Italy, and it’s estimated that the world market for sneakers may reach a value of $115.6 billion by 2023. “It is not just a social and cultural phenomenon, but a real business opportunity for the Italian shoemaking industry, which must necessarily continue to show a strong presence in this sector,” Pilotti said. Did you know? Shoemaking entails approximately 200 highly complex steps, from cutting materials to injection. In Italy, these activities represent a wealth of know-how, which companies that have been making shoes for decades can draw on. For decades, Portugal honed its expertise in material selection and finishing for classic leather footwear. More recently, the industry has extended its offerings to other segments, like sports shoes and comfort footwear. Framed by the Industry 4.0 concepts, Portuguese footwear companies are prepared to invest, said Luís Onofre, president of APICCAPS, the Portuguese Footwear, Component, Leather Goods Manufacturers’ Association. By 2020, companies will have invested 50 million euros in order to be able to create a new relationship with customers, namely through the development of new methods of customization. India has been shaking off its outdated reputation of being an unreliable sourcing country. The Indian footwear industry has made substantial investments in the last five years in elevating and expanding its capabilities. Under the Integrated Development of Leather Sector Scheme alone, companies in the leather and footwear submitted applications for $200 million worth of technology upgrades and capacity expansion. More than 400,000 unemployed people have been trained in for various jobs in the sector in the last five years, and the aim is to double that number in the next three years, upskilling 75,000 existing workers. Did you know? The Indian footwear industry is “very keen” to develop joint ventures and partnerships with the overseas brands and manufacturer for producing non-leather athletic shoes. Domestic manufacturing can be a good option for brands looking to create more unique product mix that’s closer to the end user, but making shoes in the U.S. doesn’t come easy. “Producing domestically would incur no duty, which is one of the highest on any good imported into the country, and if President Trump has his way, it will go higher,” Andy Polk, FDRA senior vice president, said. The capital investment in setting up large production domestically, however, could negate the duty savings. Did you know? Sixty-three percent of footwear factories in the U.S. have less than 10 workers. A few producers even make custom shoes in garages.